Closeout! - India’s gorgeously hued saris captured not only our very visual design team’s eyes, but also their hearts. So much so, in fact, that they gathered discarded saris from this wonderfully vibrant country to repurpose as rugs in the dazzling Capel Carousel Collection. The Juggler style, a member of the Carousel Collection, is a transitional rug design from Capel Rugs. 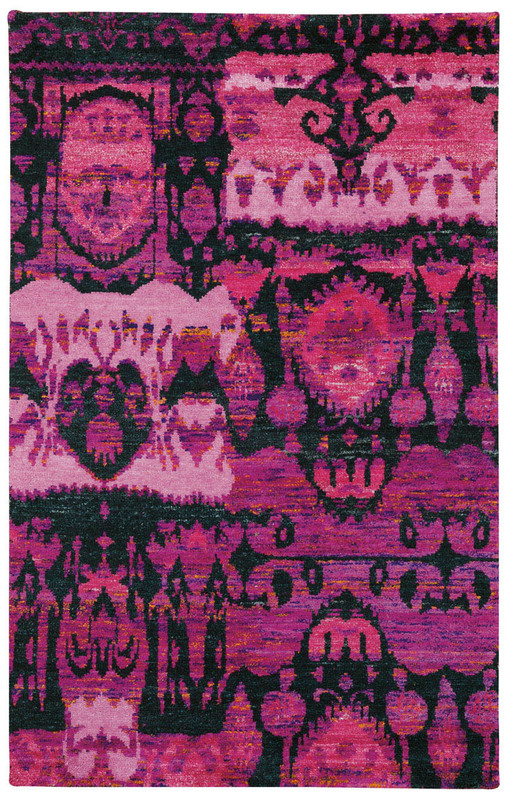 Carousel-Juggler rugs have a hand knotted construction.